a new show written and performed by a cast of locals. 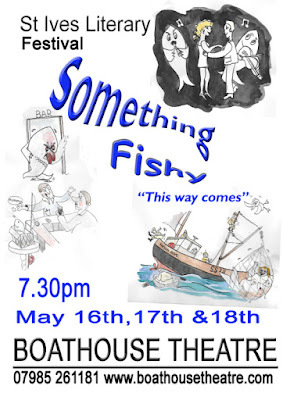 Great fun - and in the atmospheric setting of The Boathouse Theatre - tucked away in a former pilchard cellar behind St Ives Harbour. Tuesday 16th, Wednesday 17th and Thursday 18th May 2017. Show starts at 7.30 pm - doors 7.00 pm. Also on the door if available. The Boathouse is a small intimate theatre so advance booking is advised.